Primer is a company coming out of stealth, with $US14.7 million in funding. Previously, Primer CEO Sean Gourley had an illustrious career in academia and the public sector, including a stint in Iraq using algorithms to predict insurgent activity. Primer uses much of that same technology to provide a market analyst in software form, scanning news stories and other massive data stores to report back on trends and important insights. Early Primer customers include Walmart and In-Q-Tel, the CIA’s investment arm. 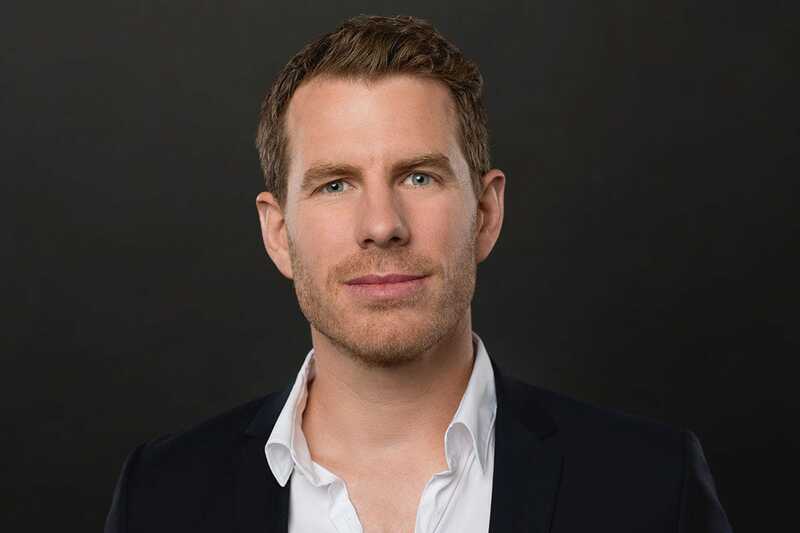 Now, Gourley is revealing for the the first time a new startup venture of his own: Primer, an artificial intelligence startup with $US14.7 million in funding, from investors including CIA venture capital arm In-Q-Tel. Primer was borne out of one of Gourley’s more high-profile adventures in academia. While studying as a Rhodes Scholar, he ended up researching the mathematics of insurgency and terrorism. He would end up advising the Pentagon, and even took trips to Baghdad to help analyse intercepted text messages from insurgent groups. Now, Primer is making a business in taking much of Gourley’s past research in insurgency, and applying it to business. The same kind of algorithms that would analyse insurgent communications for patterns will now analyse media reports or any other massive troves of data and report back with the insights it gleans. In other words, it’s a market analyst in software form. The question Primer asks its customers, says Gourley: “What could you do with a hundred analysts?” It’s being built by a team of about 32 engineers, most of whom hold PhDs. And even at this early stage, says Gourley, Primer is signing “multi-million-dollar contracts.” Customers like Walmart are turning to Primer to scour the internet and report back on trends. And In-Q-Tel itself is acting as a middleman, brokering out Primer’s software to federal agencies. The terms of that deal are such that not even Primer knows which agencies are its customers. To Gourley, Primer is a super-useful tool for parsing out the never-ending information flow that is the modern internet — it takes a human, or a whole team of humans, just to make sense of everything. That doesn’t really scale. “You have to throw people at this problem,” says Gourley. But Primer still requires a human touch to get the most out of it. 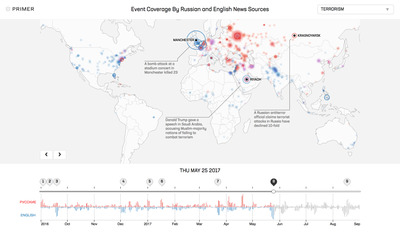 Take, for example, this demonstration visualisation made by Primer, which tracks coverage of terror-related events in English-speaking media versus Russian over the course of a year. 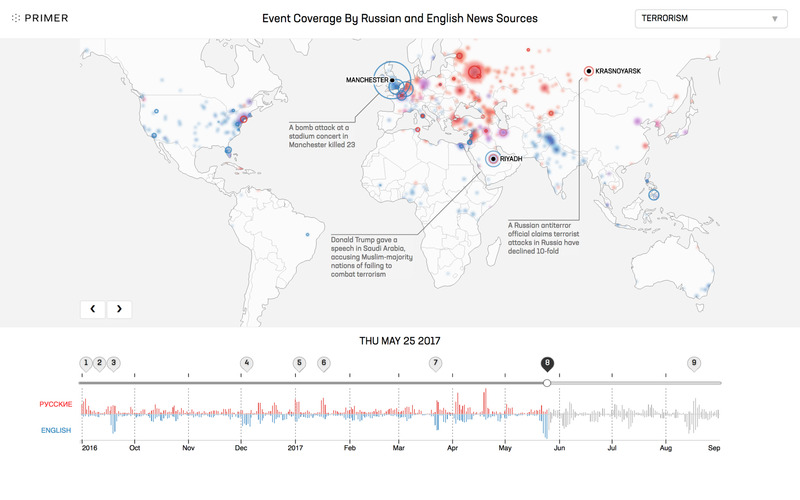 Primer sifted 40 million news stories to make the map, with a human analyst providing the context. The same principle can be applied to any business where “a sense of truth” is key, says Gourley. For Walmart, for instance, it’s a great way to parse out the coverage of trends over time, with a human riding herd to make predictions and glean insights that a machine never could. On your schedule, Primer can send a report of all the news items it’s read, and what the important takeaways are. If you’re in the video game business, Primer will tell you when the media lights up with talk about the cancellation of the new “Star Wars” game, or when a major studio is hit by layoffs. That’s where the artificial intelligence bits come in, says Gourley. First off, the Primer system can pick out the parts of each story that people are most excited about. But the customer can also tune the system up, teaching it a little more about what they like, and don’t like. “As that feedback rolls in, your system can learn from it,” says Gourley. It’s just part of the massive artificial intelligence boom, sweeping everything from the smartphone industry, to the business technology sector.